South Florida has always been the place everybody dreams about when vacations and time off are planned. Luxurious hotels, signature restaurants and shopping, beautiful endless beach lines, the pleasant tropical weather, the vibrant nightlife and so on. Now imagine enjoying all these as a permanent way of living, with all the comforts, upgraded services, and high-end features of a 5-star resort. 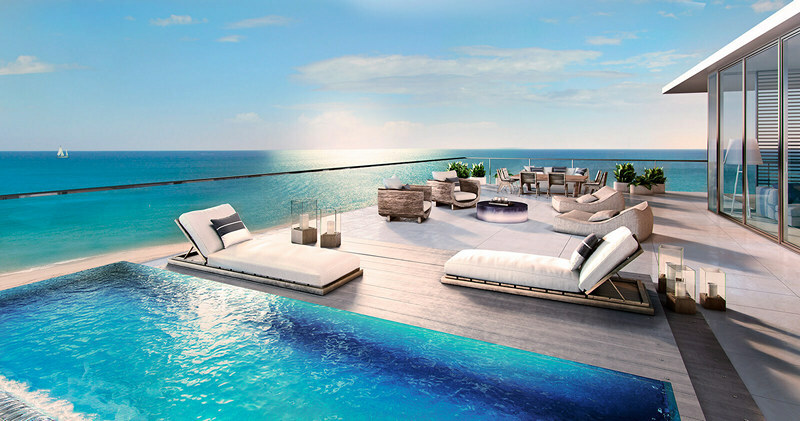 This is possible thanks to the latest boom of luxury condominium development in Miami, which has become the ideal investment area for the rich and the famous. 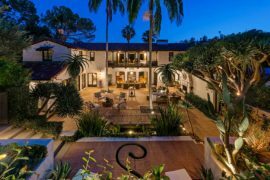 Below we will delight you with some of the hottest properties currently on the market. 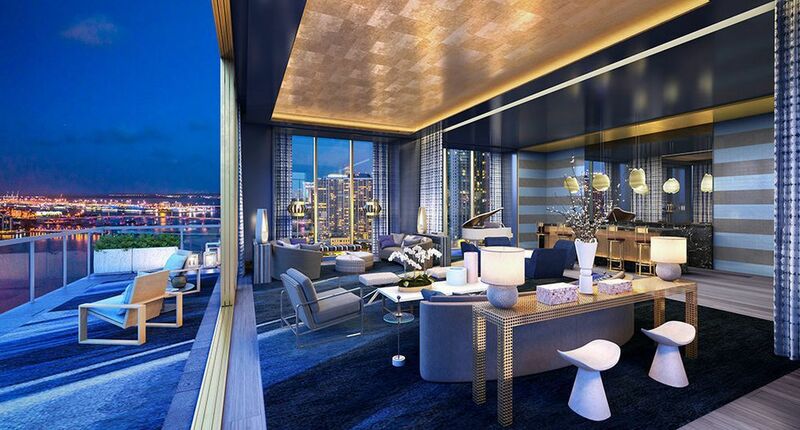 An ultra-luxury bayfront condominium brought to life by The Related Group and acclaimed George Perez. The building is located at the popular Miami Beach’s South of Fifth District (SoFi) surrounding residents by the fabulous Art Deco architecture, trendy restaurants and, of course, the Ocean just steps away. Murano at Portofino pampers its residents with lavish residence features and fixtures oversized sunrise/sunset terraces, waterfront amenities and incredible bay, ocean and city views. If you like the yachting lifestyle, this is the building for you. Boasting an extraordinary Yacht Club and marina, this 14-acre waterfront enclave is a dream come true for boat and lavish living lovers. Stunning views of the marina and the Intracoastal Waterway will wish you good morning each and every day and the building’s sumptuous amenities will make it difficult for you to leave home. 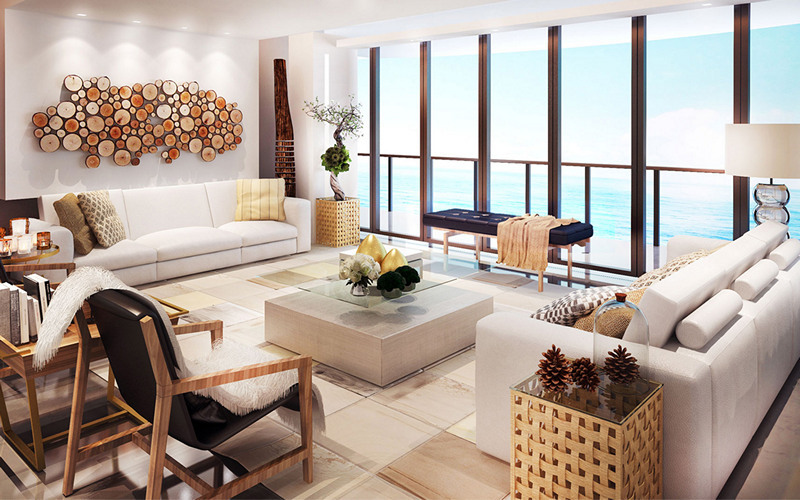 Marina Palms’ well-appointed residences are just moments from all the pulls of North Miami. Pure Style. This is a visually aesthetic building located on Biscayne Bay in Miami. With an undulating facade, the attractive condo structure by arquitectonica emulates the bay waves and its glass walls provide the most captivating views of the bay and the city skyline. 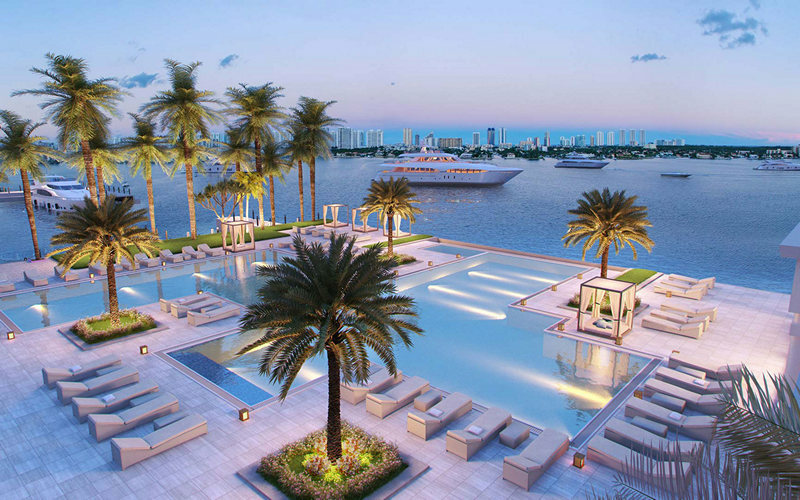 At this waterfront address, you will find first-class amenities like a stunning bayfront pool deck, a unique sculpture park, and expansive terraces. Located only 5 minutes from Brickell, blocks from Downtown, and 15 minutes from the airport Icon bay is in the center of everything. 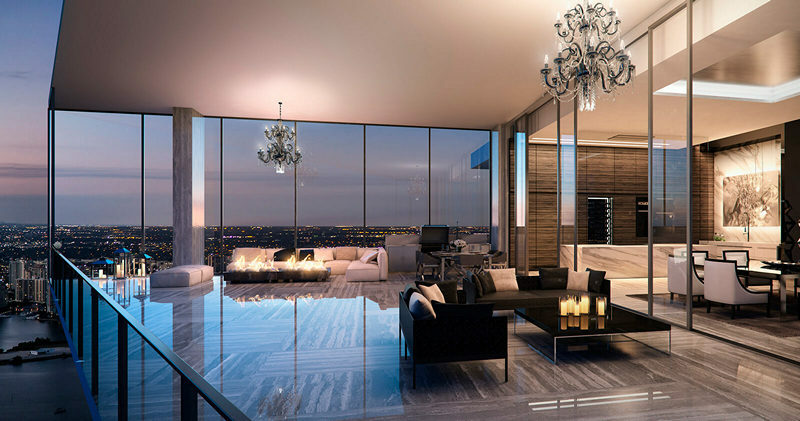 This is one the newest luxury oceanfront developments in Fort Lauderdale Beach featuring two contemporary glass buildings with spectacular and unobstructed ocean views. Auberge offers its discerning residents a whole world of class and sophistication with exquisitely designed residences and breathtaking penthouses overlooking the ocean and a rich array of indoor and outdoor amenities that include multiple swimming pools with cabanas and Auberge world-class restaurants.